In an interview late Friday with the Wall Street Journal’s Walt Mossberg, the Sony chief was talking about earthquake damage to 15 of the Sony’s factories in Japan, and inadvertently mentioned that a camera sensor made in one of those plants is on its way to Apple, and that sensor would be delayed because of the quake and tsunami. Stringer didn’t specifically say that Sony is building an 8-megapixel image sensor that will go into the iPhone 5, but since Sony is currently not manufacturing any image sensors for Apple, this confirmed that Sony plans to supply components of the iPhone 5. This points to the distinct possibility that in the iPhone 5, Apple will no longer be using those OmniVision 5-megapixel image sensors currently inside the iPhone 4. This is supported by an analyst’s report from February of this year saying that OmniVision might lose out on supplying cameras for the iPhone 5 because OmniVision’s 8-megapixel sensor won’t be ready for the iPhone 5′s rumored mid-summer launch. Early on, he raised the irony of Sony supplying camera components for Apple devices. It “always puzzles me,” he said. “Why would I make Apple the best camera?” It is unclear what devices he was talking about as Sony isn’t known to supply key camera components, known as image sensors, to Apple; A Sony spokeswoman declined to comment and an Apple spokesperson couldn’t be reached for comment. Stringer’s inadvertent slip also lends credence to the rumors of a delayed release of the iPhone 5. So what do you think, readers? 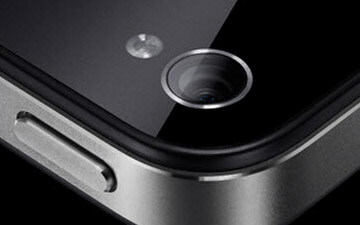 Is this enough evidence for us to bet on a Sony 8-megapixel camera going into the iPhone 5?